Our law partner, Jim Tate, has written his first book. 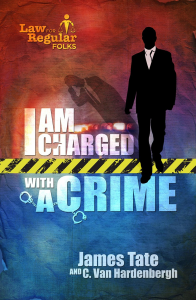 The title is I Am Charged With a Crime, and it is available here on Amazon.com. Jim was persuaded by his co-author, Charles Van Hardenbergh, to write the book; and we think you will agree Van was inspired to encourage him to write it. Jim Tate has been trying cases, many of them criminal, for almost a half century in the United States and in Viet Nam during the war. He shares his experience defending a soldier charged with a war crime – a case that had a surprising result not directly related to criminal law. In the book we learn how he advises clients charged with a crime on such issues as: Do I plead guilty? Do I ask for a jury? Do I take the stand and testify? How do I structure my defense so that my money will last until the case is completed? Experience shared in I Am Charged With a Crime is interwoven with the actual cases where the lessons were learned. For example, we learn that it is sometimes possible to win the impossible case; and that even a highly skilled surgeon can be charged with a crime and forced to go through a grueling trial – if the FBI and Federal Prosecutors do not agree with the way he practices medicine. We learn that international fraudsters are now so skilled that even very successful CEO’s and powerful judges can be, and are, caught in their webs of deceit. These schemes are often so sophisticated that the victim is prosecuted and goes to prison. 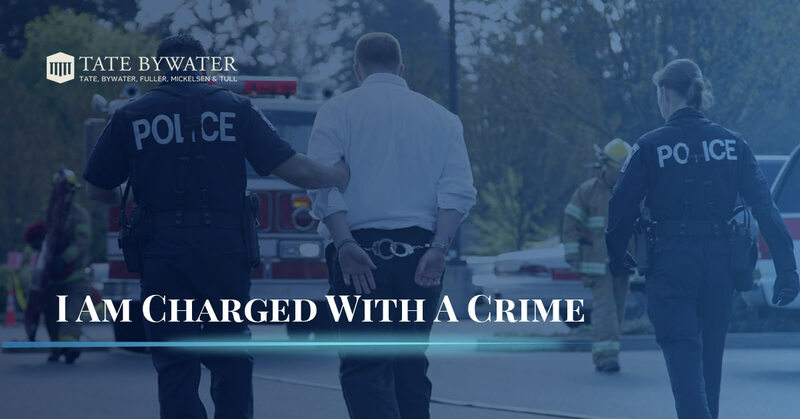 I Am Charged With a Crime includes several experiences shared by old timer Paul Gamba, of Palm Coast, Florida, who was able to free an innocent defendant charged with capital murder who was almost certainly destined for execution. Co-author, Van Hardenbergh, shares his experiences of defending cases that almost everyone will encounter at some point in their lives. Finally, I Am Charged With a Crime is not only about how current law is applied. Jim believes the drug laws of the United States need to be changed to reflect lessons learned during the past 50 years. Our current drug laws have filled our prisons, corrupted our public officials, bankrupted our people, imprisoned caring physicians while they were trying to care for people suffering severe and chronic pain, and have not stopped the flow of narcotics. According to Jim, the root of the problem is trying to use force to coerce human behavior in an area where people should have the right to choose. He does not believe such an approach will ever work, and that public resources should be expended on education and persuasion – not force. We think that you will find I Am Charged With a Crime entertaining and thought provoking, and urge you to take the time to read it.